How many hours do you actually run for? Our standard is 3 hours - the setup prior to the event and pack down are not included in this time meaning you get the full 3 hours operational booth time. How many photos are included in the hire? Your guests can visit the booth as many times as they want during the hire period with two photos being printed for each visit. Usually at weddings one goes into the guest book the other goes to the people that are in the picture. Corporate events and parties we print two for the guests in the picture. But remember there are no limits on how many visits your guests can have. What is the quality of the photos? We use a high-resolution camera, studio lighting and professional software to produce the best photos. All of which get uploaded to Facebook the following day so you can download, your own high-quality copy. Prints from our Photo Booth will be printed using the latest DNP thermal dye sublimation printers, as used by photo-processing companies. They print in about 8 seconds and all photos are delivered totally touch dry and waterproof. Who owns the pictures and photo rights from each event? The Photo Booth Bournemouth has sole ownership of all photos taken and processed from every event. Absolutely! We come along with a ton of props! Moustaches, lips, glasses, hats, flowers and a few random ones for good measure! Can I choose my background? Absolutely, we have a selection of backdrops for you to choose from, alternatively you may supply your own or we can do bespoke backdrops too. Can I supply my own props and backdrop? Absolutely, if you would like to use something in particular you are more than welcome to do so (after all it is you event), the backdrop ideally needs to be 7ft x 7ft. Do you supply glue and pens for the guestbook? Yes, this is all included in your package! Yes, we require you to pay a small £100.00 deposit to secure our Photo Booth at your event. What happens to my deposit if I cancel my booking? Yes, we carry Public Liability Insurance to £5million. Copies of the certificate can be provided in advance for your venue if required and are at the bottom of this web page. Is the photo booth PAT tested? 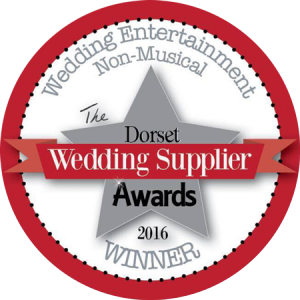 Yes, we are a local company in Bournemouth however we have been all over the UK from Liverpool to North Wales to Somerset and most places in-between if your event isn't in Dorset, get in touch to see if we can help today. What space will you need at the venue? We require a flat floor space of approximately 4m (wide) x 3m (deep) x 2.2m (high). If you are unsure about these dimensions please let us know your venue details and we will be happy to check with them. The bigger space we can have the more people we can fit into each shot. What are the electricity requirements? We require one standard plug socket as close to the area as possible. Can you go up Stairs? We can go up or down stairs in a venue as long as access is via a sloping ramp or lift. If you are unsure please let us know as we can check for you. Can you go in a marquee or outdoors? Yes, as long as the floor is level and the photo booth is sheltered from the rain and there is a power source nearby. What happens if the wedding/party/event is running late and you can’t get in to set-up? Our staff will only stay for the original hire time booked, we will try to setup as quickly as possible so you get the most time from the photo booth but we will not stay longer than the original time booked, please ensure we can setup around 1hr before your specified start time. Do you offer anything else? We offer giant LOVE Letters please head to www.lovelettersbournemouth.co.uk for more information. How can I view the pictures taken from the event? Yes, we can, we have a large network of suppliers that we recommend, if you are looking for a videographer, makeup, casino or anything else please don't hesitate to ask and we can recommend somebody that we know and trust. The Photo Booth Bournemouth is a fun, unique and entertaining addition to any event. 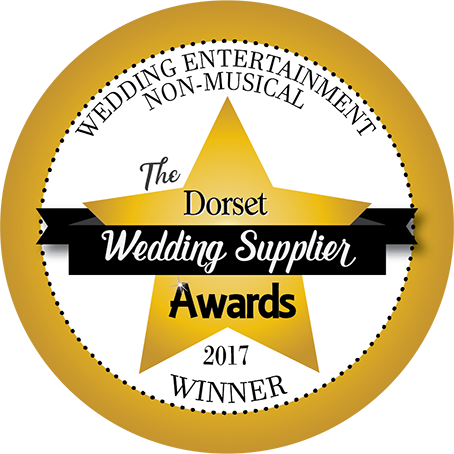 Hire our award-winning Studio Photo Booth at weddings, parties and corporate functions in Bournemouth, Poole, Christchurch, The New Forest and surrounding areas in Dorset and Hampshire.